Exciting first guides by top author Anita Ganeri. 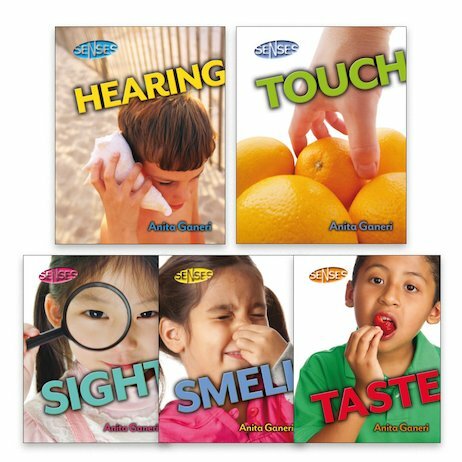 Your senses help you make sense of the world – and now it’s time to make sense of them! What does it feel like when you stroke a cat? Why is your tongue so long and bendy? Why do we see things in colour? How does your nose work? You’ll find the answers to all those questions (and lots more) in these thought-provoking books, full of photos, pictures and cool facts to tell all your friends.